My system is super glitchy. It mostly happens when I'm in MS Office applications. My screen will flicker when I try to do something simple like change the font or move a slide. Windows will jump around. Dialog boxes will open but will be blank till I run my cursor over where there should be text. I recently was trying to do a video demo recording in Captivate and everything just went haywire. Windows were jumping around. The screen was flickering. It was impossible to do the recording. Even know, the window here is displaying weirdly. I have had my motherboard replaced twice to try to resolve other issues with this system. This glitchiness has been around since the beginning and is getting worse and more disruptive. I'm so frustrated. It is rending this computer almost unusable. I have updated my BIOS and run anti-virus software. Any other ideas? 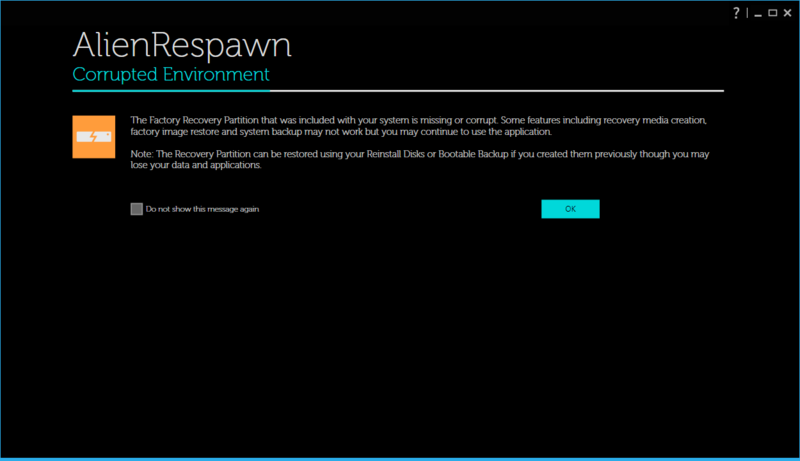 I was going to do a factory reset to see if that resolved it, but when I used AlienRespawn, I got a message saying the Factory Recovery Partition in missing or corrupt. I don't know if I have the recovery CDs that came with the system. What can I do? Why would this partition be missing?